The organ was built by Compton as job number A188 and installed here in 1933 where it was opened on 5th October of that year. 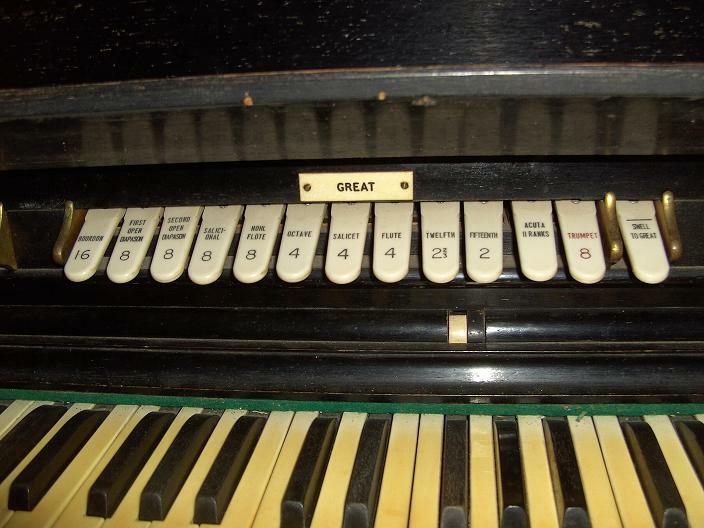 The organ replaced an earlier instrument by Gray and Davison dating from 1875. 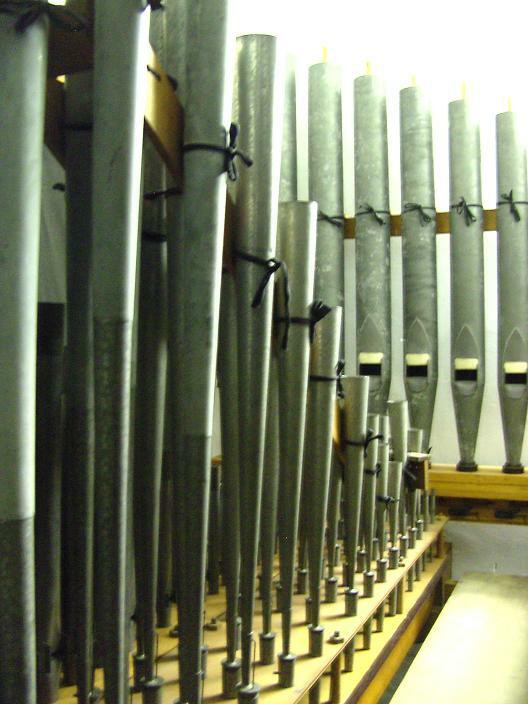 After a fundraising appeal in 1979 the organ was cleaned by Hawkins & Son of Lichfield and the original Viol rank of pipes was replaced by the current Gemshorn. 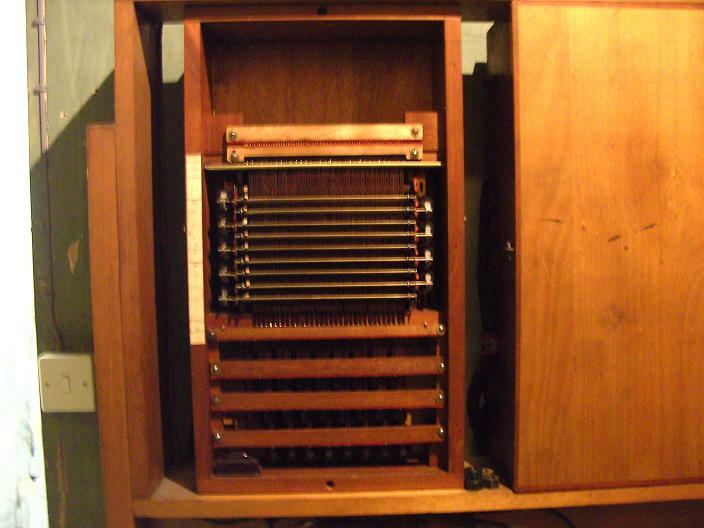 It is typical of Compton organs with a detached stopkey console and built on the "unit" principal with 6 ranks of pipes all enclosed behind an ornamental grille. 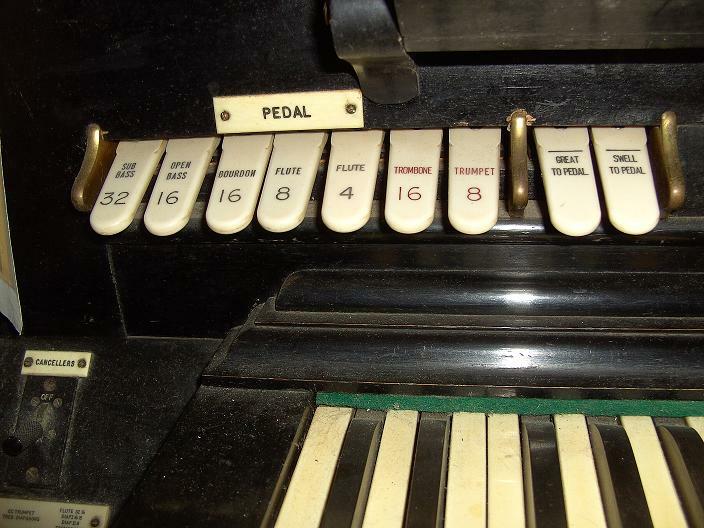 In 2011 the organ became silent after the blower failed and at one point it looked like the organ would be scrapped. However, in 2017 St Luke's Church in nearby Cradley Heath closed and the blower motor from the Compton organ there became available and so thanks to organist James Brookes who set up an appeal, over £7000 was raised and now the organ is singing away again and sounding better than ever! 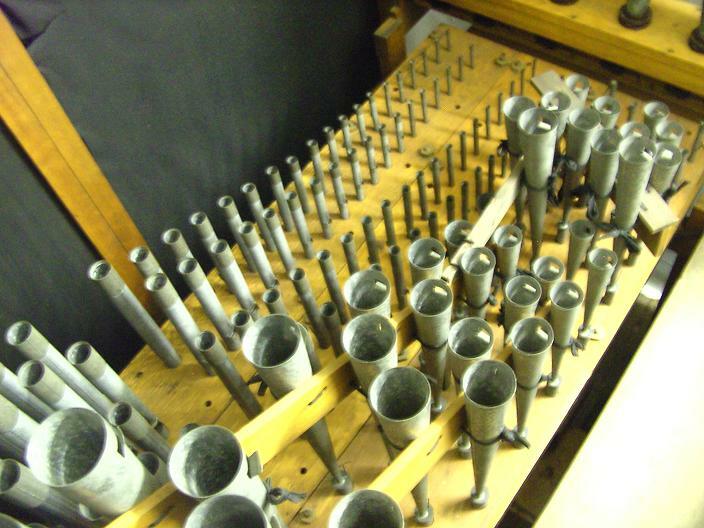 Unlike other organ rebuilds and restorations, the work was done mostly be volunteers including help from the Cinema Organ Society and the Cannock Chase Organ Club. Thank you to everyone involved for saving this wonderful example of a Compton organ. 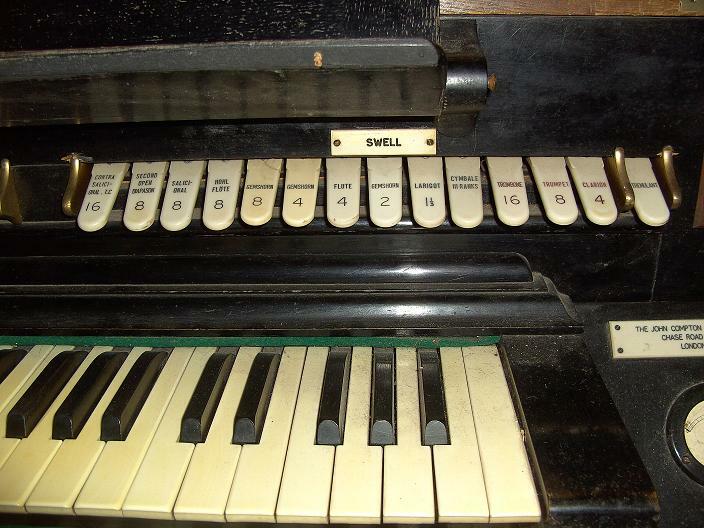 Special thanks to organist James Brookes for supplying me with the history and photographs of this instrument.